When you explore the coffee industry on YouTube, there are some fantastic video resources for all types of coffee lovers. The YouTube channels we have reviewed each offer something a little different. 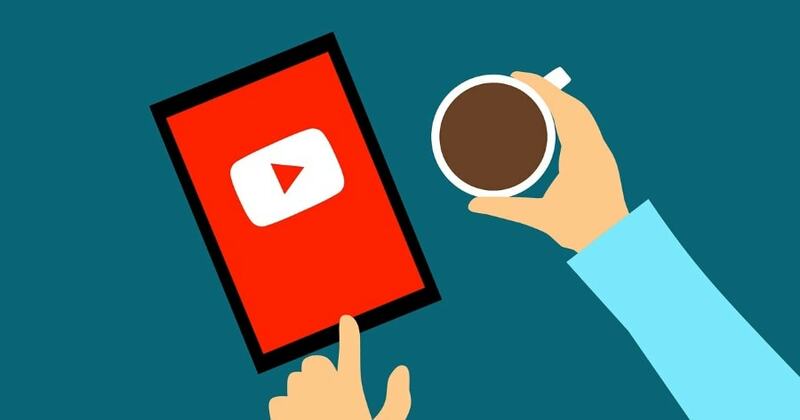 Let us introduce you to our top 6 YouTube channels that can expand your mind about coffee, or at least entertain you. James is an undoubted coffee expert with a ton of insight into many different aspects of the coffee industry. The videos he produces are brilliant and informative. This channel has a large variety of topics, including coffee blends, coffee during travel, coffee farms, new coffee technology reviews, the best techniques for familiar brewing methods, and coffee gear and brand comparisons. He even has short stories posted that make it more personal and interesting for his viewers. If you’re looking for a coffee expert who can teach you about several aspects of coffee in some pretty amazing videos, look up James Hoffman’s channel. The creator lives in Europe, so you can get a taste of what the coffee is like just across the pond. There is a lot of focus on the European blends he has tried in his travels, but he also features some coffees from other parts of the world, like Asia. If you want to try some of the blends he discusses, you’re in luck, because he has also started a coffee subscription. The Right Roast subscription was an inspiration that came from the creator wanting to connect more with his viewers, and so they can taste the magical blends he raves about. If you want to learn about third wave coffee and specialty European coffee, or even try it, this channel is the one to watch. Tim has been involved in many parts of the coffee industry, making him a very reliable person to learn from. He is not only a world barista champion, but also a roaster and a coffee farmer. Imagine that! No wonder he created a YouTube channel to share his knowledge with the world. His video archive covers a wide range of coffee topics, like brewing, recipes for handcrafted coffee drinks, and roasting. The most exciting part is when he shows behind-the-scenes action in his own coffee business operations. Check out his Q&A videos, because more than likely he will answer a question you have and you’ll definitely learn something new. Anything you need or want to know about coffee, he probably knows it. He is third on our list because he only has around 30 videos to watch right now, but we have no doubt that his video library will be ever-expanding and informative. The goal of this channel is to create a virtual community for anyone interested in coffee, and it does just that! It has a library of 400+ videos to watch, which will leave you with an endless supply of coffee knowledge. Many of the videos are about how to make drinks, the creator’s own roasting business, and the coffee he roasts and sells. By far the most interesting and most popular videos on this channel are the latte art videos. It is mesmerizing to watch just how the latte art is made, and to learn the technique to try it yourself. Chris is a talented barista champion based in California who co-owns a successful coffee roasting business. He has the expertise to help guide you through many coffee topics. He has a few videos that share information about handcrafted drinks, reviews of coffee gadgets, and information about the coffee and roasting business. While all this is great, the reason this YouTube channel is on our top 6 list has to do with his series of discussion videos called “Dialing In.” He personally talks to his viewers about all sorts of coffee topics and really engages what other people want to know. His goal is to spark a discussion with viewers, which makes this channel not only interesting to watch, but to participate in. He creates a short video like this every single day, so you always have something new to look forward to! If being a part of the coffee industry is more interesting to you than just making coffee at home, then watch this channel. It’s run by two co-owners of a roasterie and cafe in Europe. They will take you inside what daily life is like for people on the business end of coffee. You can also learn about the roasting process and other fun coffee knowledge. This channel is a little less informative and a little more personal. In the videos, the two co-owners speak about balancing a coffee business and working well with each other just as much as they talk about coffee.